T-Needles For Lace Blocking 50 pcs. 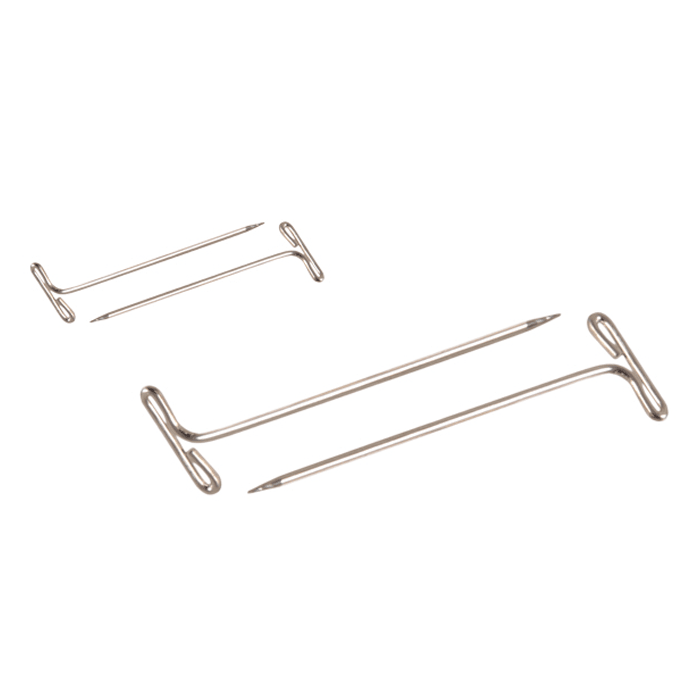 T-needles for blocking/tensioning of knitted or crocheted projects in hollow pattern. Use: wash or moisten your knitting or crochet project. Then stretch the project onto a substrate that can withstand needles. We recommend these KnitPro Mats for Lace Blocking. Attach the T-needles along the edge of your project so that the project holds its shape as it dries. This technique is especially recommendable for projects knitted in hollow patterns, such as scarves or shawls, as it helps open the pattern and emphasize the beautiful structure. The needles are stainless steel so you can safely use them with your project, even if it's wet. The needles come in packs of 50 pcs.